A great photograph ! My wife and I were lucky enough to see that unusual sight as well. 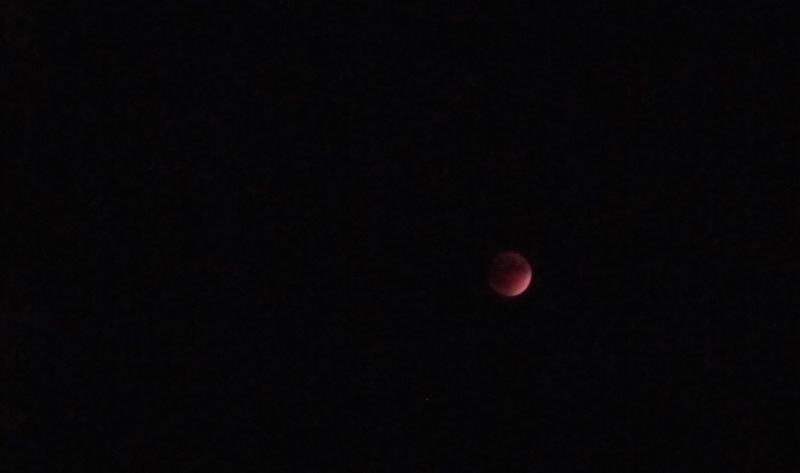 We went up to the roof of our building and had an unimpaired view……….I read that such a moon is also called a “blood moon” and won’t happen until the year 2033-so glad we caught it !